Authentic Christian Trust is a not-for-profit trust and a registered Charity in NZ (CC55868), with the purpose of promoting the kingdom of Jesus Christ through various media projects. We exist through the generous support of individuals, businesses, churches and trusts who catch the vision to reach out through print, websites, video and social media. 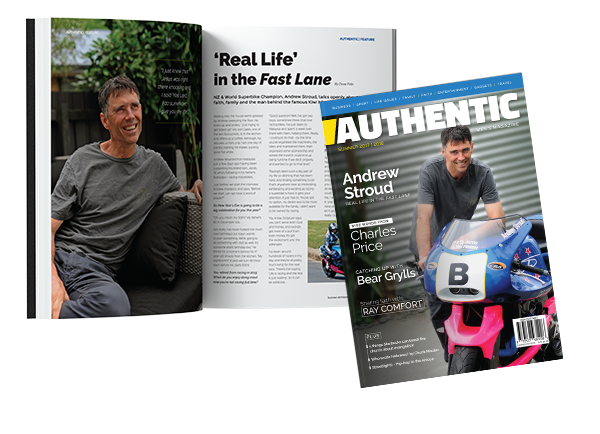 Authentic Men's magazine - Launched at the end of 2017, this magazine is a professional quality, glossy magazine. It serves as a tool for evangelism to the lost, solid bible teaching and encouragement for the Christian man and a readible alternative to other magazines targetting men. Dave is a passionate communicator about Jesus Christ, serving as the communications director for Torchbearers International and director of Authentic Media. 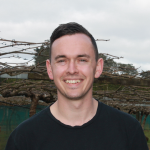 Ryan lives with his family in Tauranga and is passionate about building relationships with people and working collaboratively to expand God's Kingdom here on earth. He currently also serves as GM of the Trust and Media company. Paul is a young business leader who's motivations are towards stewarding businesses, helping to direct and develop them to God's glory, here in New Zealand. 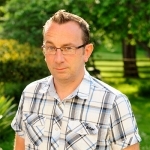 He is currently employed as Whitehall Fruitpackers' Development Manager in Cambridge, NZ. Authentic Media are a part of Authentic Christian Trust and offer media services to Christian organisations, ministries and churches. The Soul Purpose Trust supports the work of Authentic Christian Trust and specifically Authentic Men's Magazine.